Last week, I took a day off work for a trip to Hay-on-Wye – the small town just over the border into Wales that boasts more bookshops per square mile than probably anywhere else on the planet. It’s a bit of a trek – it takes over two and a half hours to drive from Leicester, but by crikey it’s worth it. Compared to my other half, who bought 24 books, I was rather restrained. I picked up nine books, but I’m pretty happy with my haul. Forgive the quality of the pictures – I took a quick snap with my phone then cut it up, so they’re a bit blurry and wonky. W. Douglas Simpson – The Ancient Stones of Scotland. 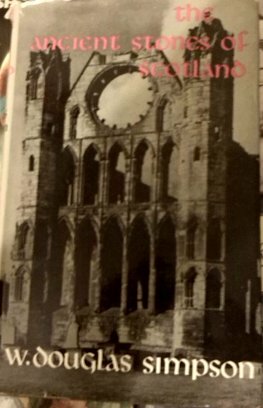 This is a book I had pretty much permanently checked out of the school library back in ’87-’88 when I was studying Northern Britain from the Iron Age to the Vikings for my Certificate of Sixth Year Studies. A fantastic book with tons of information on brochs and souterrains, the towers and tunnels of Iron Age Scotland. 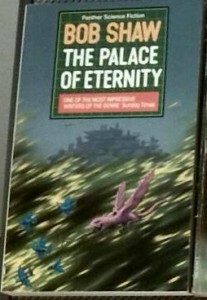 Bob Shaw – The Palace of Eternity. I loved Bob Shaw’s science fiction books when I was a teenager, including Orbitsville and Night Walk. This is one that I’ve never read. Ah, Panther Science Fiction – that’s a name I was intimately familiar with back in the 80s. 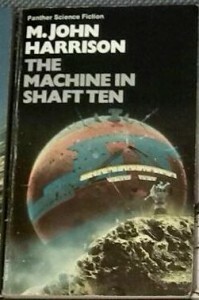 M. John Harrison – The Machine in Shaft Ten. Mike Harrison is one of those truly original writers who hasn’t written nearly enough books. 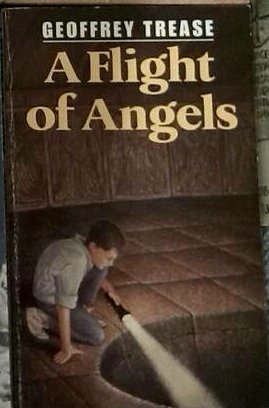 This is a collection of short stories that I didn’t even know existed, so when I found it in the basement of Richard Booth’s Bookshop I was delighted. If you like SF at all, particularly 70s and 80s SF, you owe it to yourself to visit this shop. There are shelves upon shelves of SF – I’ve never seen so many John Brunner books together in one place, for example (although I didn’t buy any Brunner – I’ve already spent many years tracking down just about everything he ever wrote). Jane Gardam – The Hollow Land. I’d never heard of Jane Gardam, but as it says on the cover, this book won the Whitbread Award. As it happens, Jane Gardam has won the Whitbread twice, once for this book, and once for her adult novel The Queen of the Tambourine. 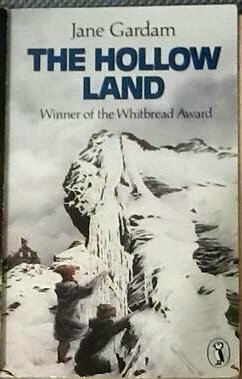 This book is a series of stories set in Cumbria, which with its myriad mines is the “hollow land” of the title. Michael Scott – The Last of the Fianna. 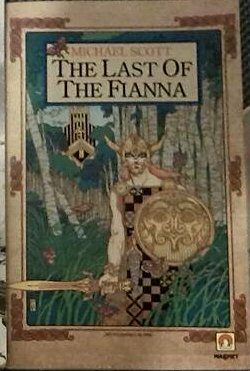 A tale of Celtic fantasy in the magical land of Tir na nOg. I’m a sucker for fantasy based on folk tales and mythology, and this looked pretty interesting. W.J. Corbett – The Song of Pentecost. Another Whitbread Award winner. Pentecost guides the harvest mice from their polluted home to a safe place in the hills. 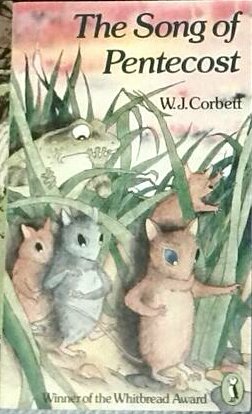 There’s nothing I don’t like about this idea – the only thing that would make it better would be if it featured rabbits instead of mice. 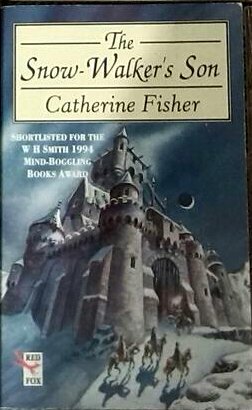 Catherine Fisher – The Snow-Walker’s Son. Another award winner, although this time it seems to be not the prestigious Whitbread but the “WH Smith Mind-Boggling Book Award”. This is a fantasy adventure, with magic and witches, set in the frozen north. Geoffrey Trease – A Flight of Angels. I always get Geoffrey Trease and Henry Treece mixed up. Both were prolific authors of children’s historical fiction, and it’s a rare second-hand children’s bookshop that doesn’t have at least one book by one of the Trease/Treece boys. This is set in the caves beneath Nottingham, where children working on a class project encounter intrigue. Allan Campbell McLean – The Hill of the Red Fox. I was incredibly pleased to find a copy of this book. In fact I found two copies – Barnabee’s had an expensive copy in poor condition that I was tempted to buy, but I’m glad I didn’t – Addyman had a copy of exactly the same edition, in excellent condition, for two-thirds of the price. I first read this book a very long time ago. In about 1982 my family and I moved to Portree on the Isle of Skye. I was in my last year of primary school, and I recall that I’d written a short story about someone jumping off a moving train. 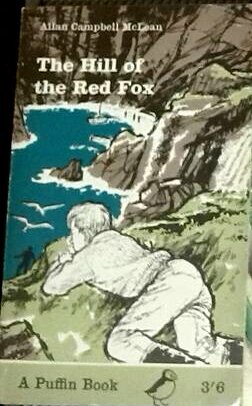 Our teacher liked the story, and said that it reminded her of a book called The Hill of the Red Fox, which just so happened to be set on Skye. Would we like to read it in class? Why yes, we would! Even now, as I read the book thirty-one years later (which really makes me feel old) I can remember whole sections. 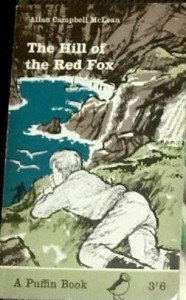 There’s the bit where the man jumps off the train, of course, the nasty Murdo Beaton, the larger-than-life Duncan Mor, and the slow development of the intrigue as young Alasdair investigates the strange goings-on at the Hill of the Red Fox. Allan Campbell McLean’s ear for the Highland accent is amazing, especially his understanding of how the Gaelic grammar of native speakers affects their spoken English. Just reading the book is enough to take me back to my time on Skye. It’s a classic adventure tale, too, with heroes and villains, peril and intrigue, terror and triumph. All in all, it was a good haul from Hay-on-Wye, enough to justify the five hours at the wheel. I think we’ll be going back next year – but it’s going to take me a while to work my way through this year’s purchases.